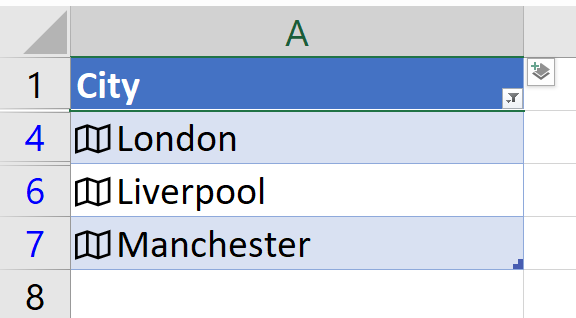 I wrote a blog post on the New Excel Data Types in May and stated that “the Sky is the limit” in the way the New Excel Data Types can affect the way we work with Excel… And one month later, here is a first Excel feature that is greatly enhanced by The New Excel Data Types. It’s the good old Auto Filter. 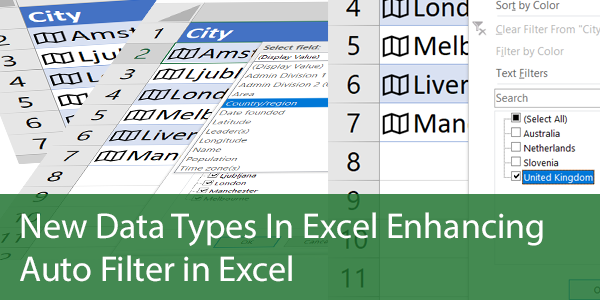 If you don’t know what the new data types are please read the post I wrote back in May to get the basic understanding of what they are and how they work. This post will only focus on the way they enhance the Auto Filter. And you should keep in mind. 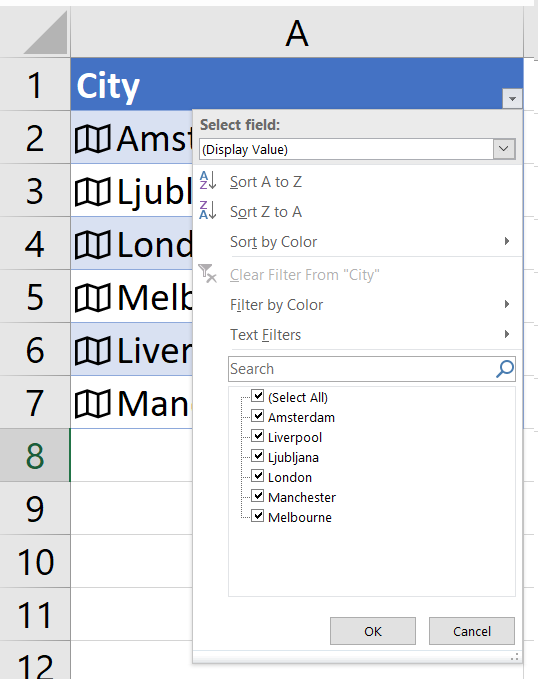 Right now (June 2018) the New Data Types are only available in Office 365 Insiders Fast build. 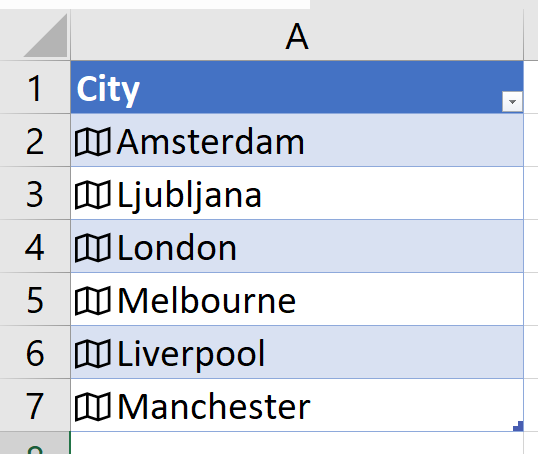 Let’s start with a simple Excel table containing City names. 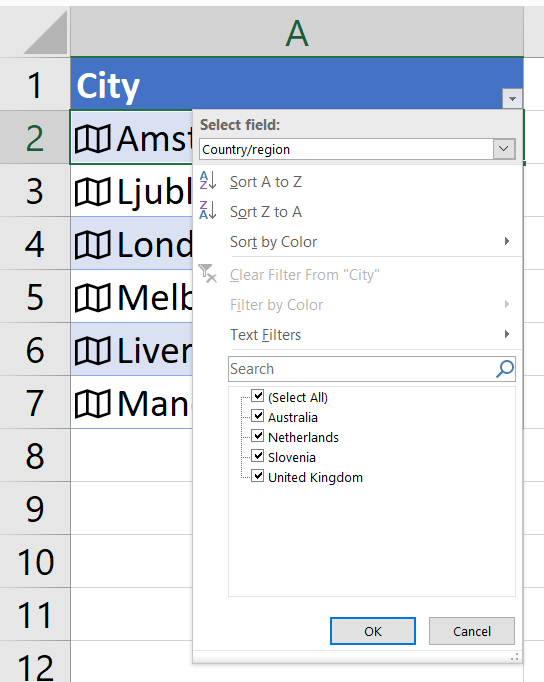 And if you look at the Auto Filter Drop-down again, you will see that there is a new field on the top. 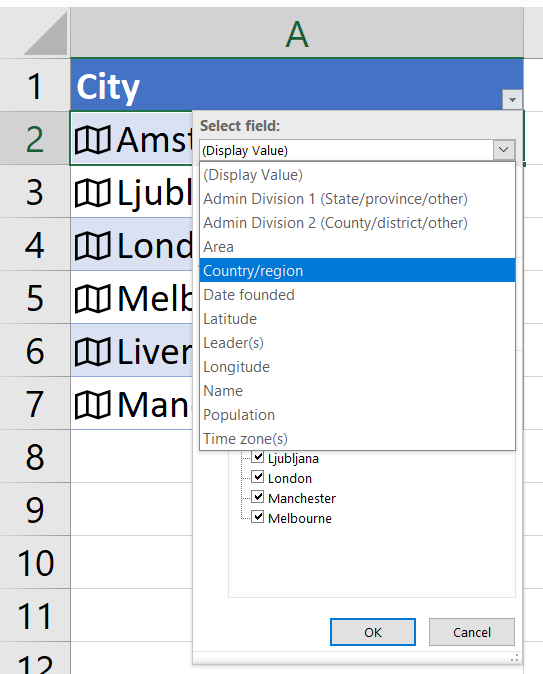 It says (Display Value) and allows you to choose any field contained within the City entity. 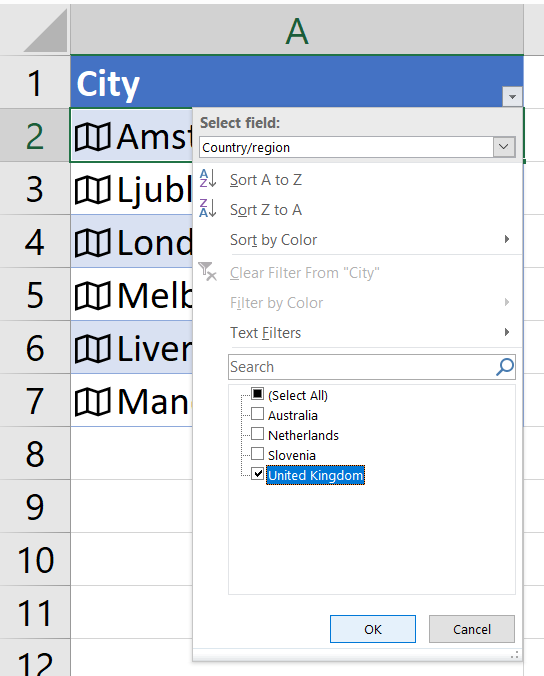 In our case, we’re going to choose Country/Region. And now look at that. 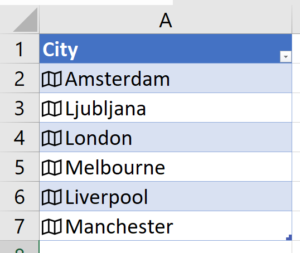 Even though the column only contains the City Names you can now filter the City column by Country… Keep in mind that the name of the Country is not the content of the cell. 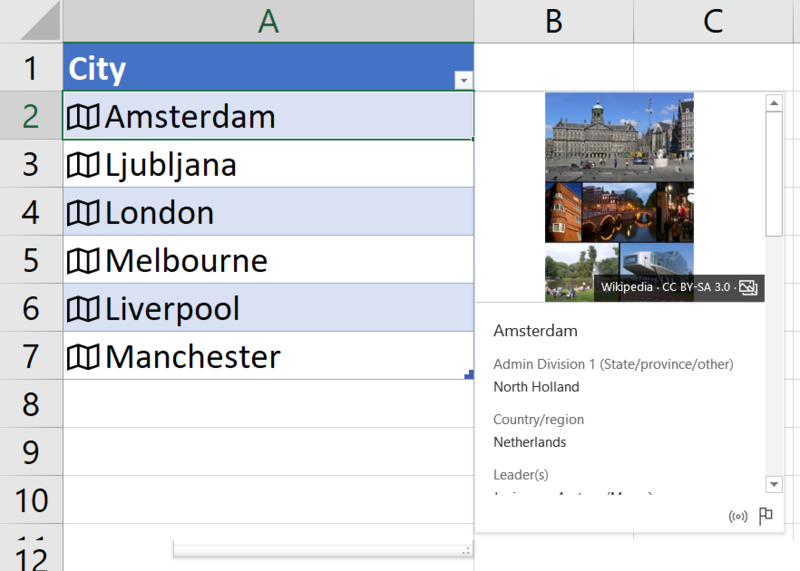 You can look at the new way that Auto FIlter will work in a brilliant “Hollywood” production that I and Oz Du Soleil from Excel On Fire YouTube Channel put together in Amsterdam. I can assure you, you will see stars. It was so great hanging with you in Amsterdam. You taught me some stuff. Right back at you Oz!